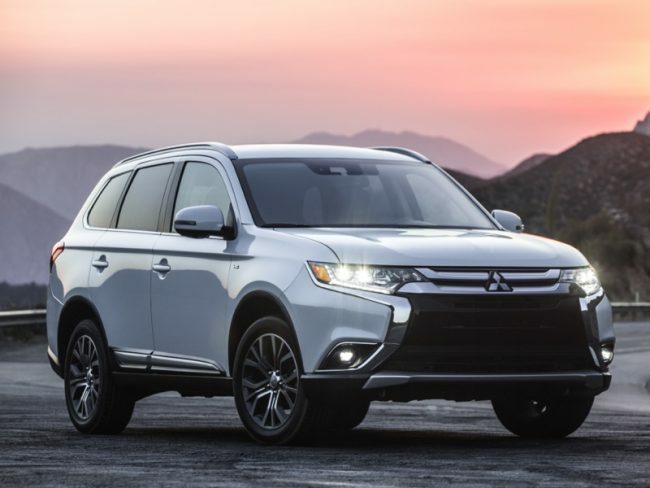 This just in – Mitsubishi is still selling automobiles in North America. I know, right? 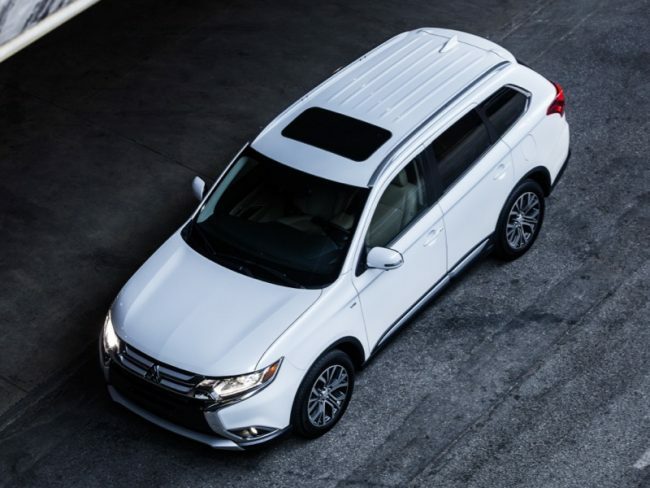 There may not be very many different nameplates in the showroom but you can still purchase new Mitsubishi vehicles here in the U.S., and the 2018 Outlander is one of them. What may be even more surprising is that Mitsubishi has just finished celebrating its 100th birthday of building automobiles. That is quite the feat given the number of automakers that have come and gone around the globe since the late 1800s to early 1900s. Mitsubishi (known formally as Mitsubishi Group) has a heavy industry division as well and has manufactured airplane engines and a number of other mechanical components in its history. It is involved in the energy industry as well as electronics along with a host of other industries. The Mitsubishi we know here in the states as the manufacturer of automobiles is Mitsubishi Motors. The current showroom consists of Mirage, Outlander Sport, Outlander, and, arriving in March, the all-new Eclipse Cross. Not long ago the showrooms were heavier with passenger cars but with the consumer shift to crossover utility vehicles so went Mitsubishi. 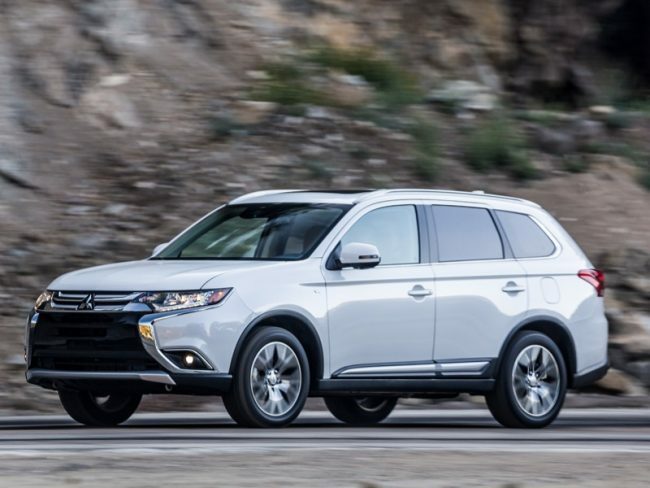 We have reviewed the Mitsubishi Outlander three-row crossover for the past two years and this year is no different. Little has changed for model year 2018 and consists mostly of alterations of equipment packages. 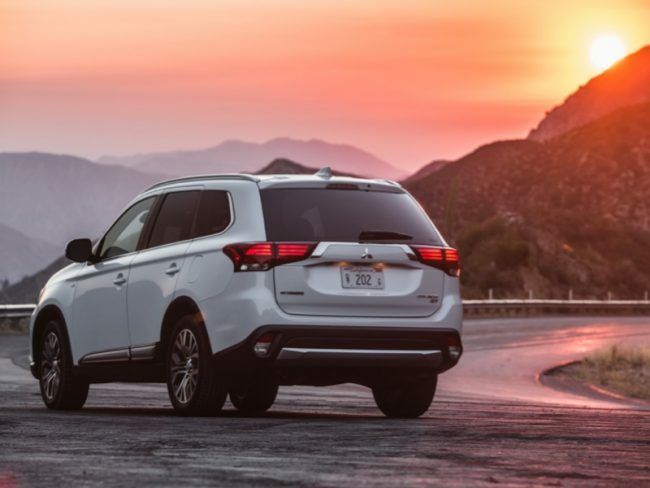 The biggest changes to the model line occurred in 2015 as more than 100 areas were given attention by Mitsubishi designers and engineers and last year they enhanced driver safety technology making the new Outlander the safest yet. Our recent tester arrived in the GT trim level with Super All-Wheel Control (AKA all-wheel drive). 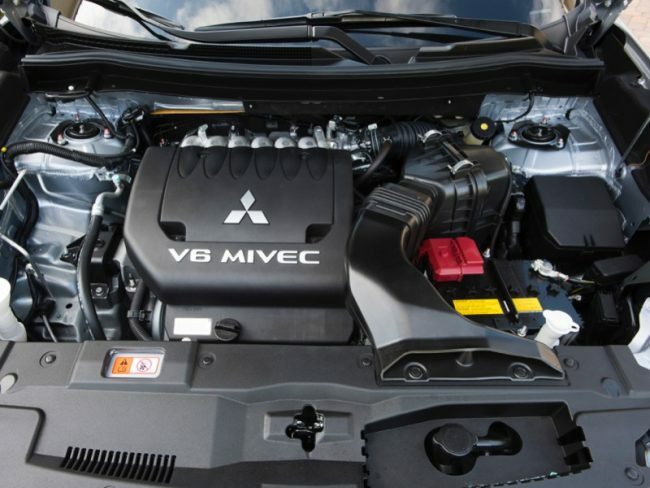 Mitsubishi offers a base four-cylinder engine in Outlander but this time around we were treated to the peppy 3.0-liter V-6 that produces 224hp and 215 lb. ft. of torque. The S-AWC offers driver-selectable modes of Eco, Normal, Snow, and Lock settings. We used Normal during most of our driving but we did encounter some slick roads now and then and S-AWC seamlessly took over for maximum traction and control and fortunately kept us from having to test any of the safety equipment that is included. Power is more than adequate with the V-6 and shifts are smooth and nearly seamless. In mixed driving the Outlander rides stable and comfortable. As I mentioned, there are three rows of seating in the Outlander, although I am not sure I would ever put anyone in the very back row. We kept the seats folded down during our week behind the wheel to allow more cargo space. The second row offers plenty of space for passengers to ride comfortably but if you need it, there is that third row. Hopefully, you won’t need it. The blast of cold weather gave us the chance to test out the heated seats and steering wheel and they were a blessing. Seating is comfortable and spacious and the controls are well placed and easy to navigate. 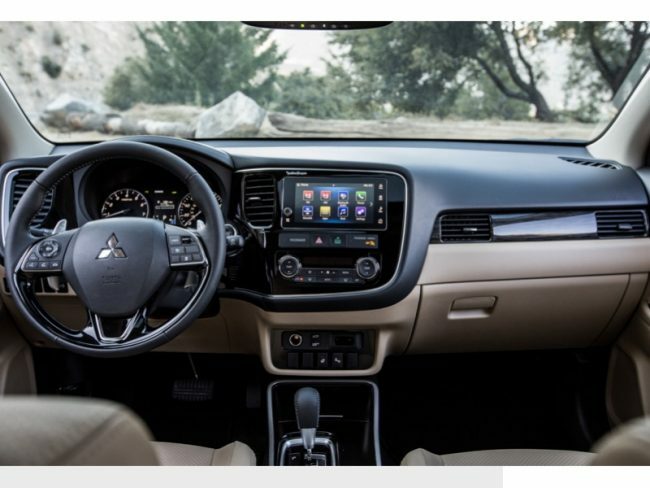 The 7-inch color touchscreen for infotainment is easy to see and use and the 710-watt Rockford Fosgate audio system upgrade is always a favorite of ours. Some of that new safety technology I mentioned includes blind spot warning with rear cross traffic alert, lane departure warning, lane change assist, hill start assist, active stability control, traction control logic, forward collision mitigation, adaptive cruise control, and automatic high beam. 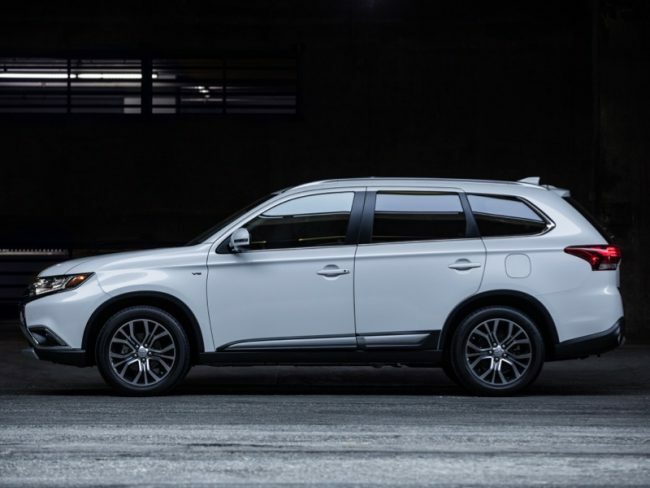 Pricing for the 2018 Mitsubishi Outlander begins at $23,945 with our loaded GT S-AWC model tester arriving with final window sticker of $34,360 – very competitive for a three-row crossover these days. Fuel economy for the 3.0-liter V-6 with six-speed automatic transmission is rated at 20 mpg city and 27 mpg highway. 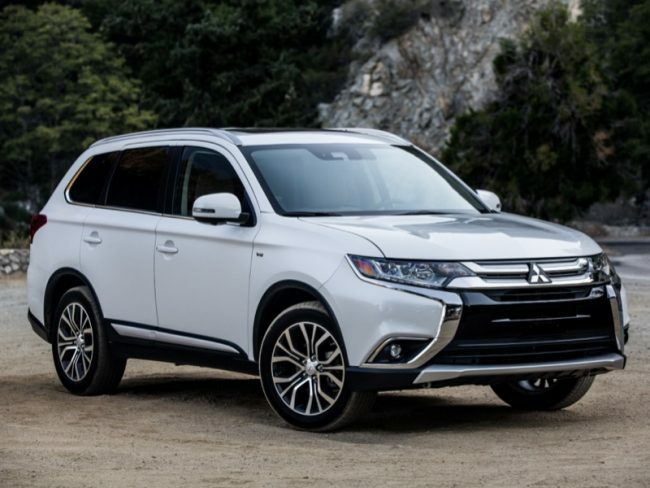 There is a new PHEV (plug-in hybrid electric vehicle) version of the Outlander that was just released and we look forward to being able to test that model in the near future. We like the Mitsubishi Outlander and feel it is a very good bargain for a three-row CUV. With the amenities offered it is definitely a model that should be shopped before making your final purchase decision. And it still has one of the best warranties on the market today.